Results for the Fulwood event are now available, and all league tables have been updated. Don't miss the Tower Trophy event next week! The Northern Championships were held today in Bigland, and many SROC members were successful. Declared Northern Champions were Heather Roome (W21), Finlay Johnson (M16), David Roome (M35), Quentin Harding (M55) and Lucie Todhunter (W35). Other top three places went to Michael Finch (1st, M14B), Danny Lusardi (2nd M16B), James Todhunter (2nd M35S), Steve Davey (3rd M45S), Mike Johnson (3rd M55L, returning from a long standing injury), Matthew Cochrane (3rd M60S), Julian Lailey (3rd M70L), Brian Looker (1st M75S) and Karen Quickfall (1st W50S). Congratulations to all. With such strength in depth we can only look forward to the Compass Sport Trophy first round event in March. Congratulations to SROC winners at the British Night Orienteering Championships held in Great Tower yesterday evening, Heather Roome repeated her recent win in the Northern Nights to take the W21L trophy. David Roome (M35L) and Quentin Harding (M55L) were victorious in their classes. The next Night Street League event is in Poulton-Le-Fylde (Wednesday 8th March). This event is the 10th and last counter in the 2016/2017 league and also incorporates the 'Tower Trophy' competition. Further details can be found on the Fixtures page together with a copy of the new map (new format). Don't forget there is also the mass start series finale at Blackburn on 15th March. Thank you to all who came to tonight's SROC Night Street League event. Most enjoyed a dry run just hours before storm Doris is due in Preston. Results will be available soon, but in the mean time please add your routes to RouteGadget. Congratulations to all the class winners at today's event at Whitbarrow. Most of the presentations were made by Frances Watkins, widow of Tim who created the event. Mike Johnson stepped in for the two successful members of the Harris family from DEE. The 2017 Tim Watkins Trophy event, modelled on the famous Blodslitet (closest translation = blood letter), was held today at Whitbarrow. Mild and dry conditions helped but there was a definite physical and technical challenge for the 100 competitors. Results are now available here, Also see RouteGadget and Winsplits On-line. Note that only common controls are shown on Winsplits since there were different course variants for most classes. Photos from the event are available courtesy Laurence Johnson. Here is the list of age class and other prizewinners for the 2016 competition year, as awarded at the annual prizegiving and social event in January. Many thanks to SELOC for hosting the latest night street league event in Horwich on Wednesday evening. Results are on-line here and RouteGadget is here. Scores and league positions after five events (of six) in the NWNL may be viewed here. 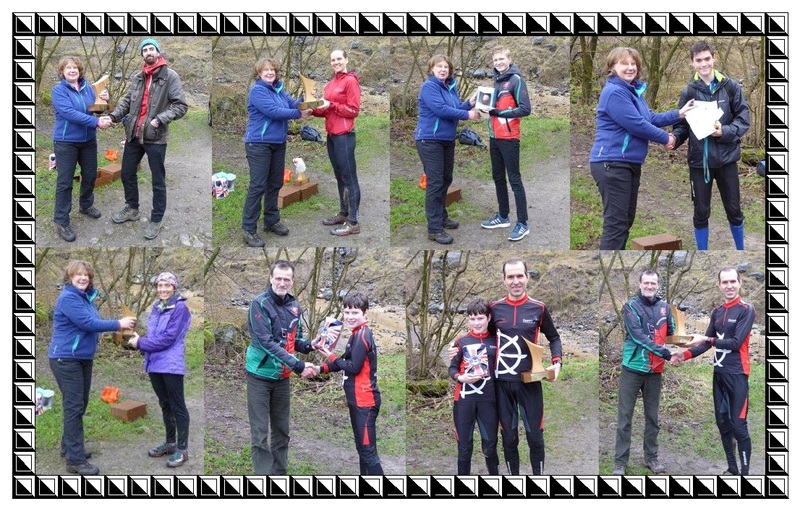 SROC members Heather and David Roome and Quentin Harding all lead their respective age groups. Spring Series off to a great start! The first 2017 Spring Series event was held today in a sunny Astley Park, Chorley. Results may be viewed here. Please add your routes to RouteGadget.